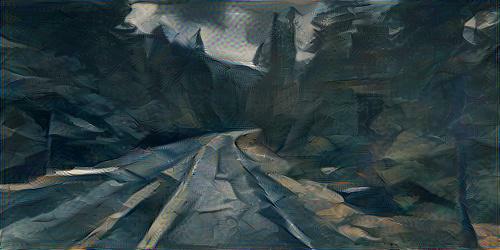 Right now I can do a style transfer on a single image. I have some of the code written for videos. I'll finish that in the next day or two. I compared it to the existing code and my code gets the same results. Style transfers aren't that complicated once you get the hang of it. It's critical I understand how this code works so I can write my own code to do style transfers for 360 video. I'll get there. Maybe not in the next two weeks, but I'll get there eventually.